Jim Hackett was named president and CEO of Ford Motor Company in May 2017. Under Hackett’s leadership, together with Bill Ford, Ford is committed to becoming the world’s most trusted mobility company, designing smart vehicles for a smart world that help people move more safely, confidently, and freely. 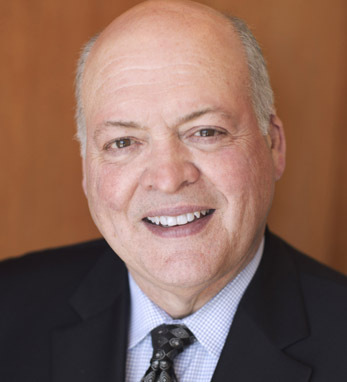 In March 2016, Hackett was named chairman of Ford Smart Mobility, a subsidiary of Ford formed to accelerate the company’s plans to design, build, grow, and invest in emerging mobility services. Before Ford, Hackett retired as CEO of Steelcase after spending 20 years leading the global office furniture company. He graduated from the University of Michigan with a bachelor’s degree in 1977. The Hacketts are from the southern and central parts of Ireland, from counties Waterford and Cork in the south to County Carlow in the east and County Galway in the west. The family moved to Ohio in 1852, leaving his great-grandfather, William, the last to be born in Ireland, in 1851. Both he and his later son, William J. Hackett, married women of Irish descent and all were farmers in central Ohio.